Warning: some Gilmore Girls spoilers ahead! The four little words at the end of the Gilmore Girls revival had fans shocked and looking for answers. Luckily, Lauren Graham is here with a theory about the father of Rory’s baby. Netflix and Gilmore Girls creator Amy Sherman-Palladino are rumored to be maybe talking about more Gilmore Girls episodes. But we won’t know about that anytime soon, or maybe ever. So in the meantime, we have Lauren Graham to weigh in on an important question. And honestly, who knows more about Rory than Lorelai? In an interview with People, Graham revealed that the first time she read the script she had an idea about the father of Rory’s child. “The first time I read it, I thought it was the Wookie,” she said. Yes, you read that right. That weird one night stand Rory had when she took interviewing people for an assignment a little too far! While Team Logan fans will not love that answer, Graham explains that she thought it wasn’t really her job to know anyway. Aww, Lauren Graham was just trying to protect us from spoilers! We really appreciate Graham’s perspective on this, and her dedication to the story. She is right in the sense that Lorelai doesn’t know who the father is, so it might be better if Lauren Graham doesn’t, either. Although most fans are probably hoping Logan is the father, we’ve got to admit, the Wookie being the dad would be an interesting direction. How would Rory navigate being pregnant with the child of someone she only slept with once? Beyond that, we just want to see how Lorelai handles Rory being pregnant. Although Rory is older than Lorelai was during her pregnancy, Rory doesn’t seem that much more prepared to handle it. 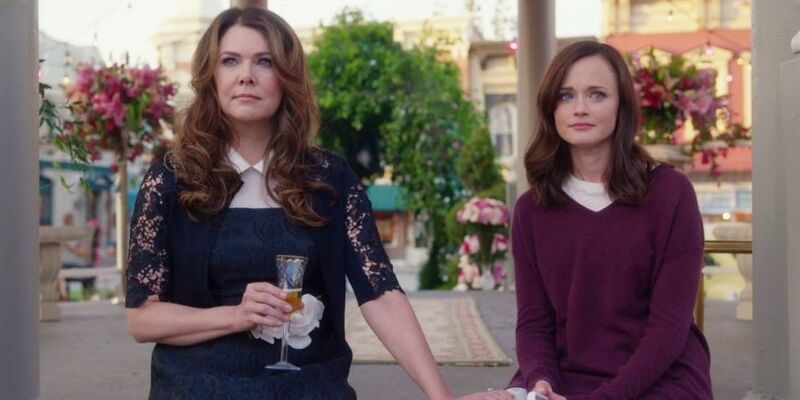 Although we’ll unfortunately just have to wait and see, this development does bring new levels to the biggest question of the Gilmore Girls revival!